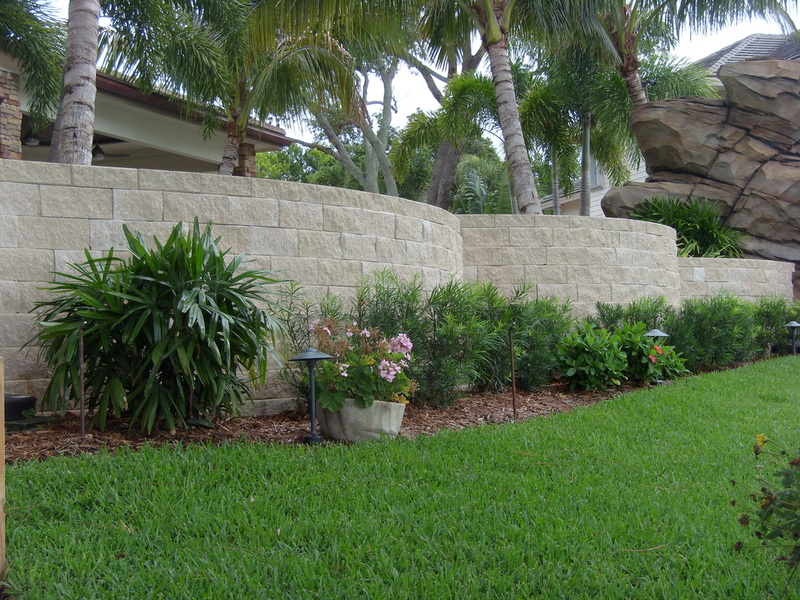 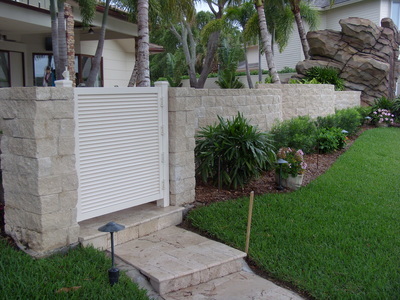 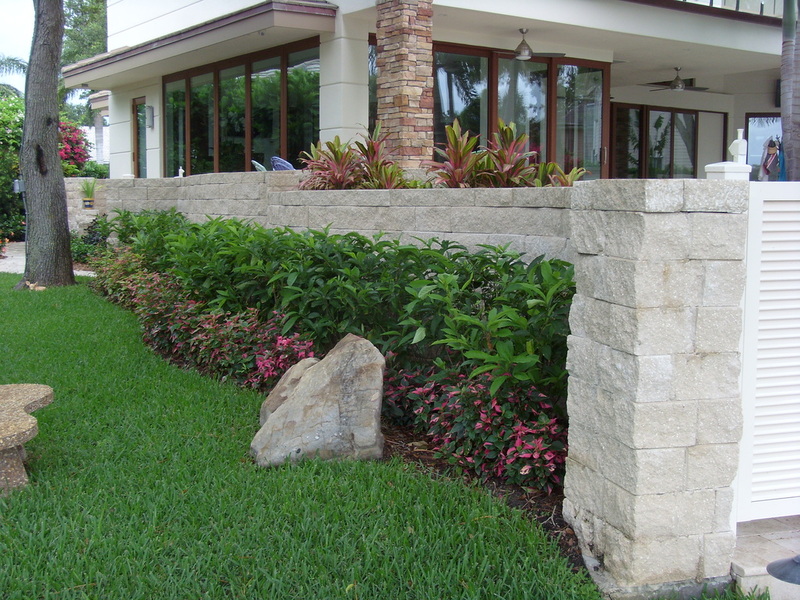 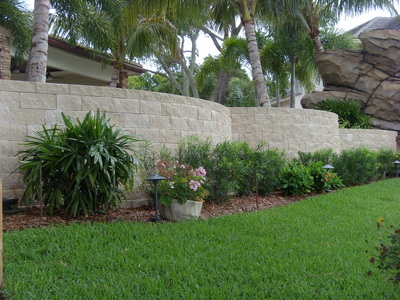 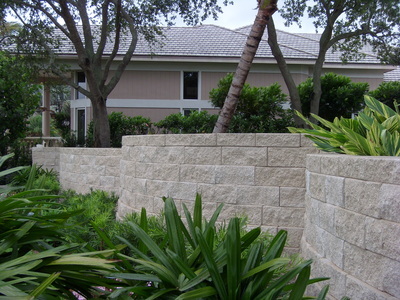 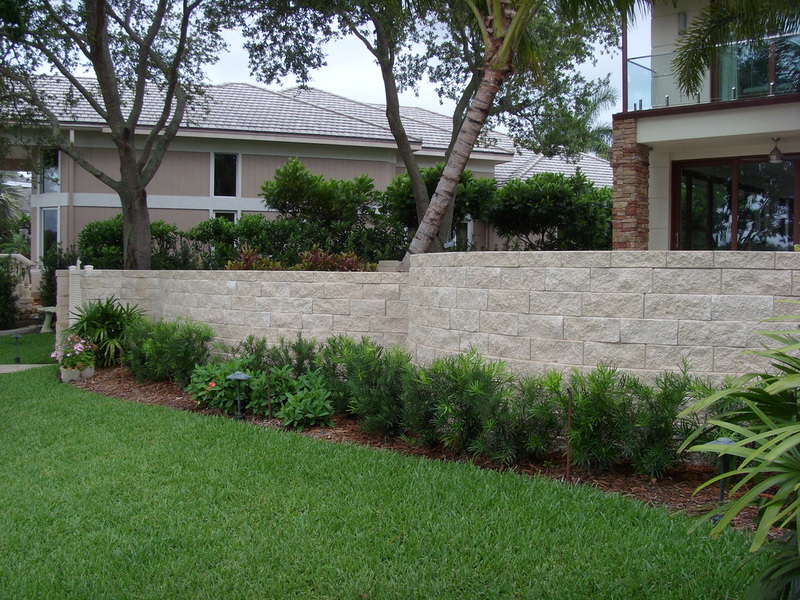 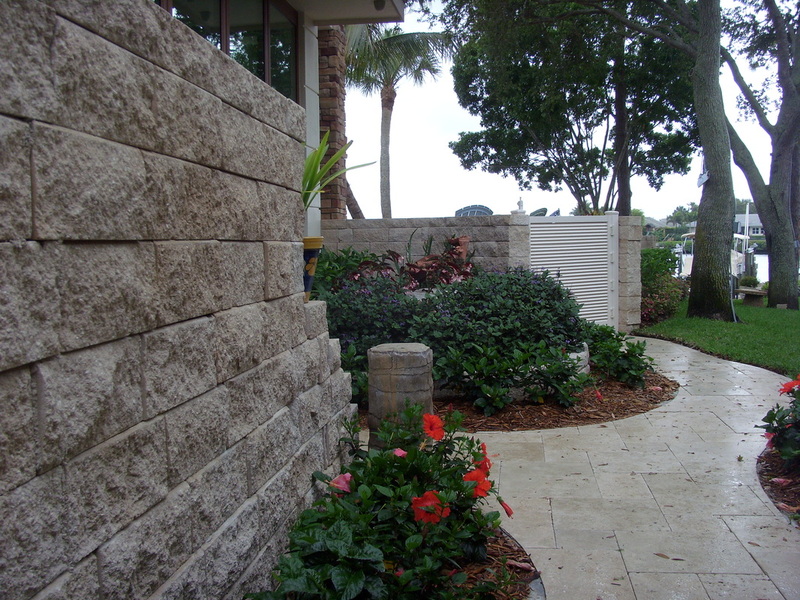 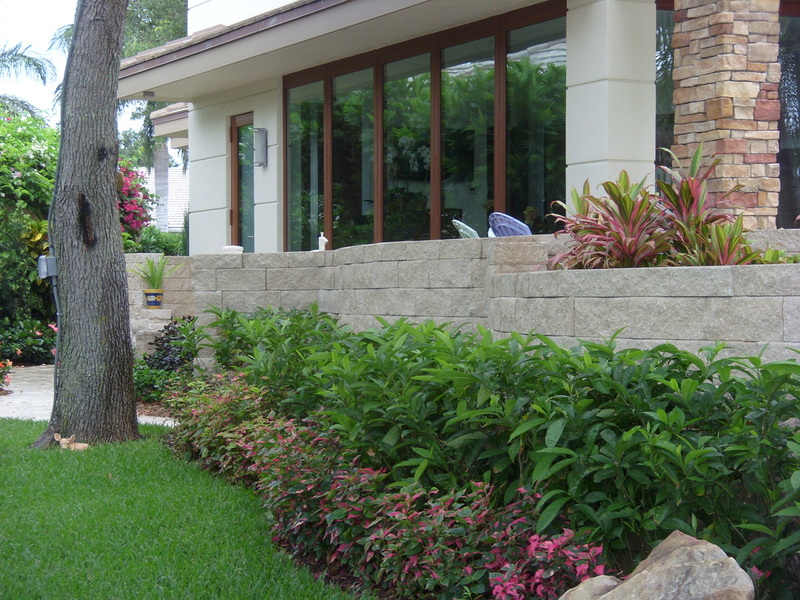 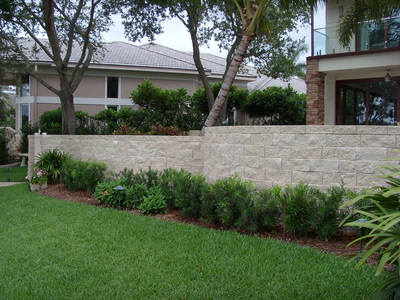 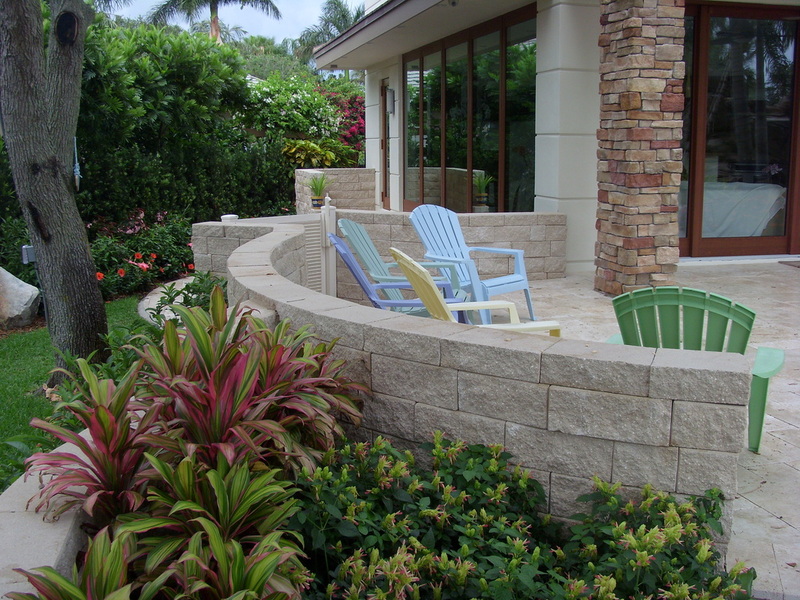 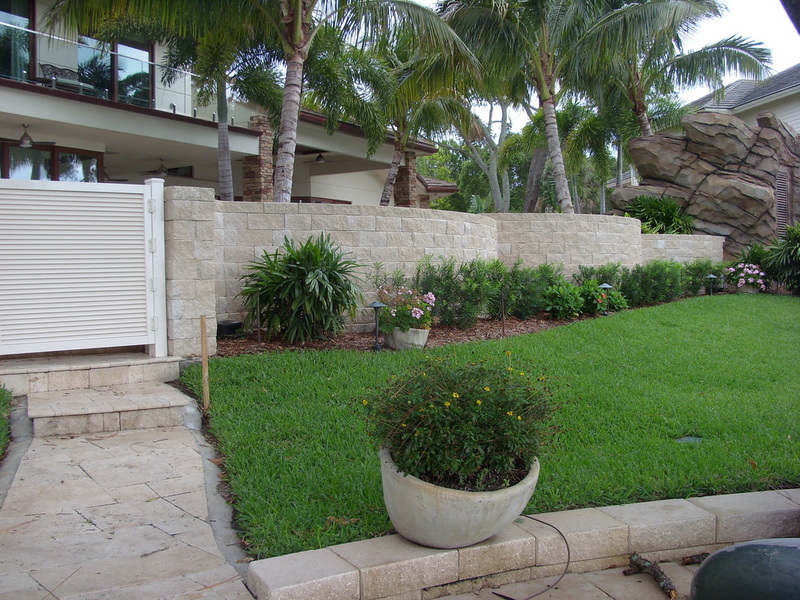 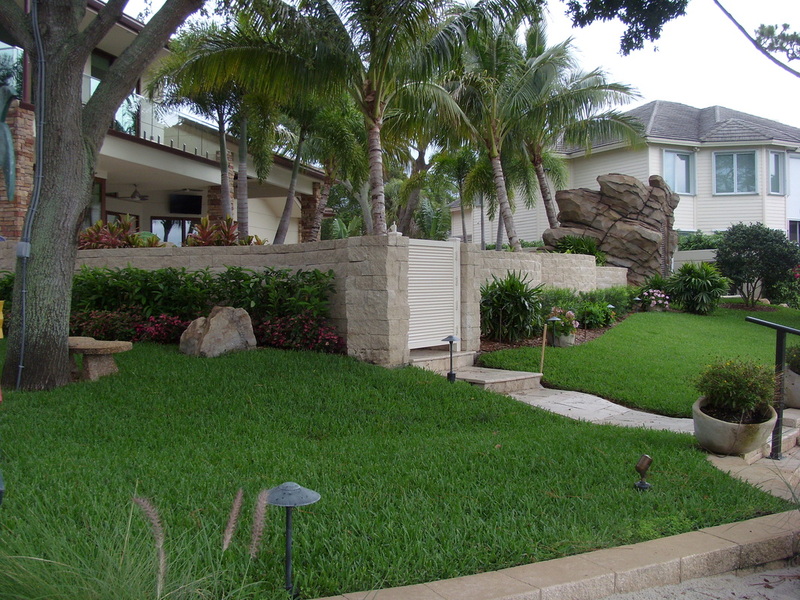 The featured product in this project is an integrally colored Versa-Lok Standard Retaining Wall; it displays a natural split-face texture that is a natural for today’s contemporary Architectural designs. Because of Versa-Lok’s uniquely engineered design, it enabled the creation of multi-angular curves and corners, stairs, columns, and freestanding walls. A matching cap was also implemented to attractively finish off the walls; with such design flexibility, it was the perfect finishing touch. 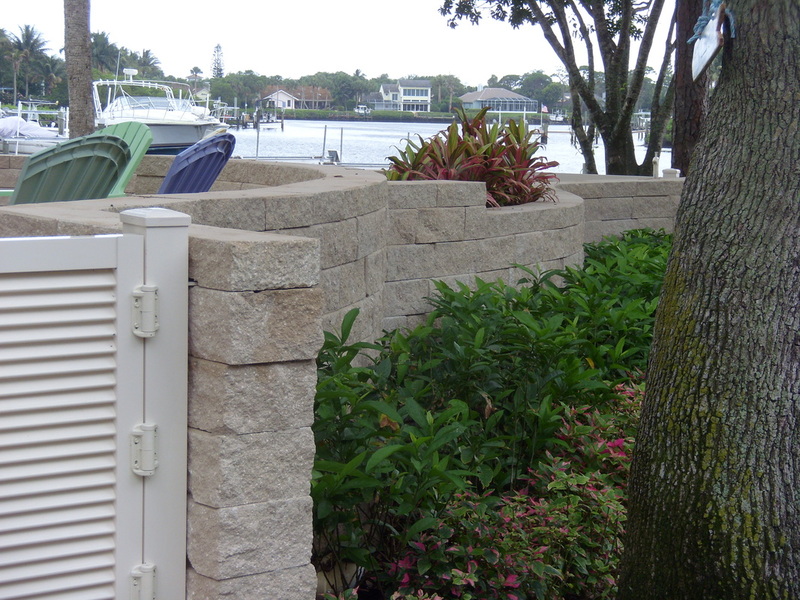 This project consisted of an extremely tight space with which to install a true retaining wall; the Versa-Lok Retaining Wall System was an ideal match for such a challenging project. 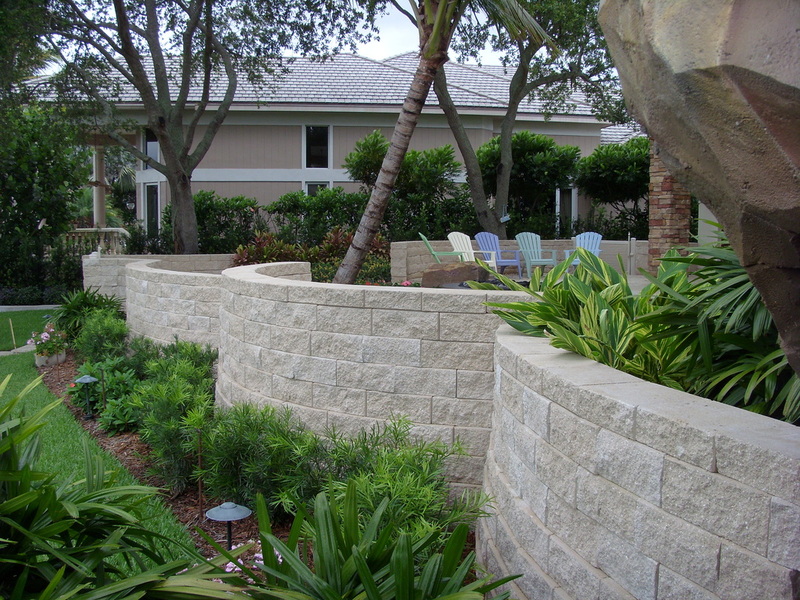 The base of the walls are single faced split; as the walls become exposed from both sides, the product is double split – both the front and the back are split providing a beautiful aesthetic option and visual. 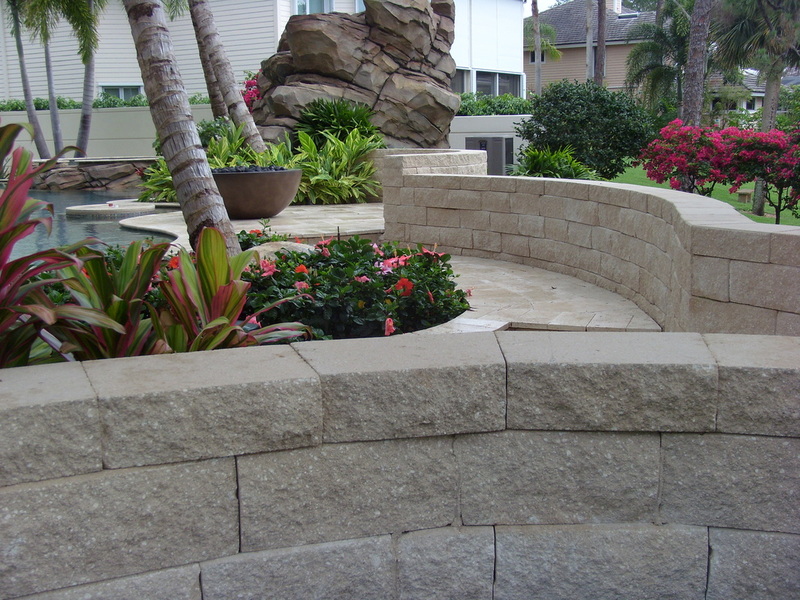 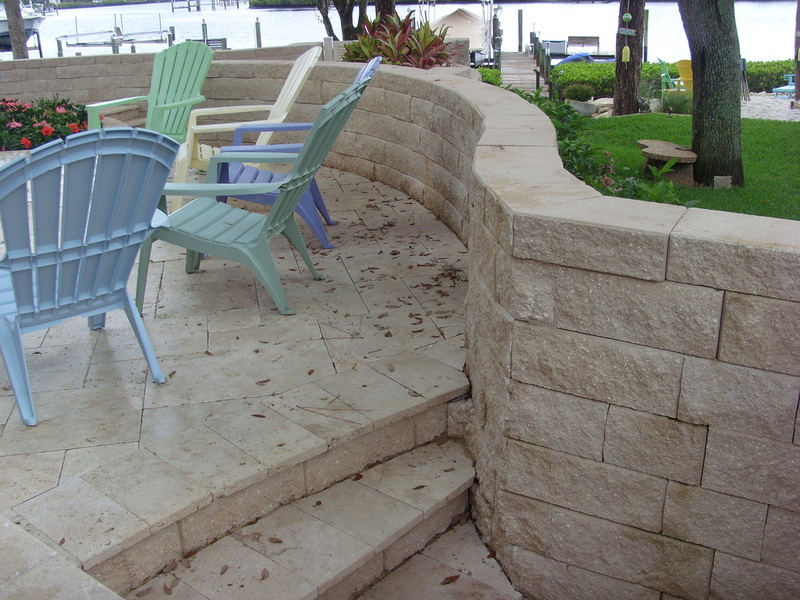 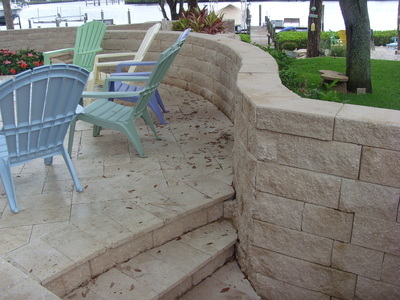 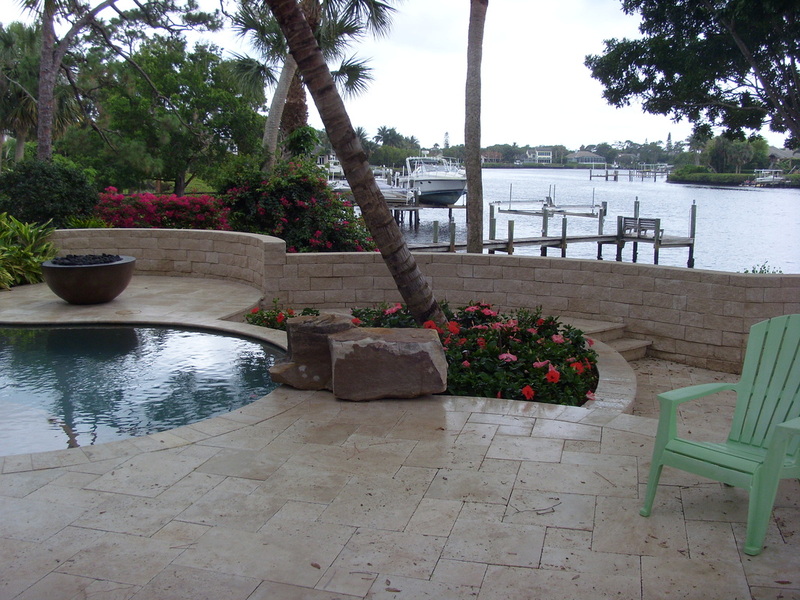 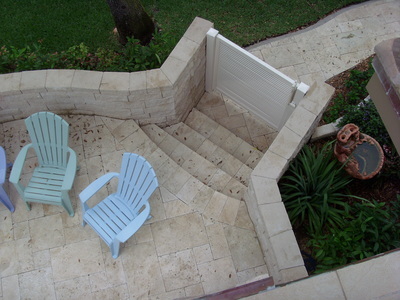 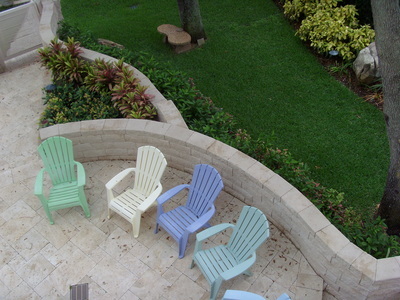 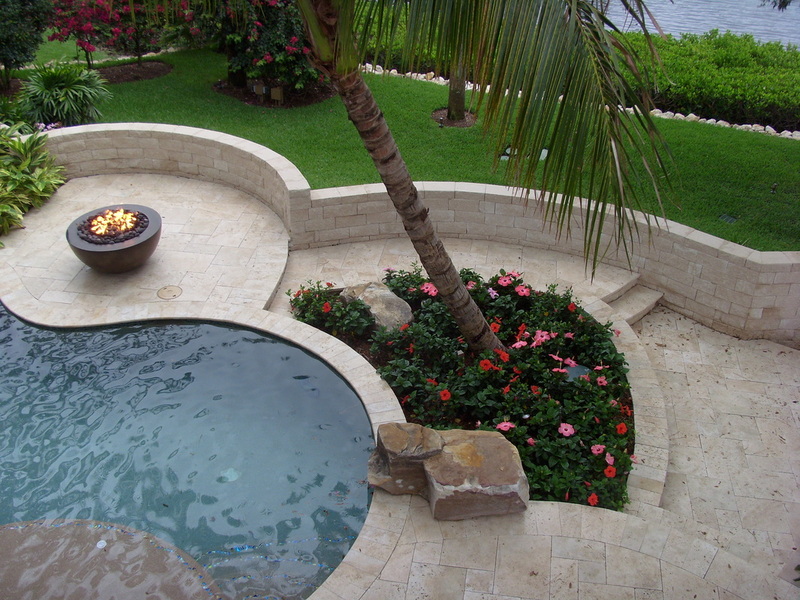 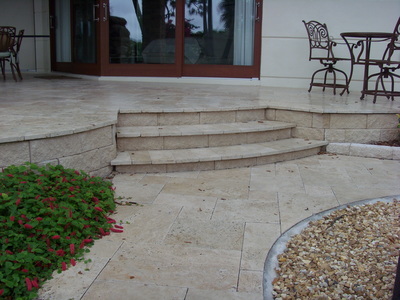 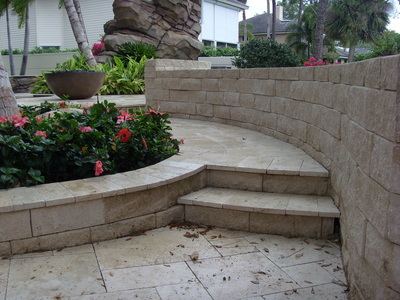 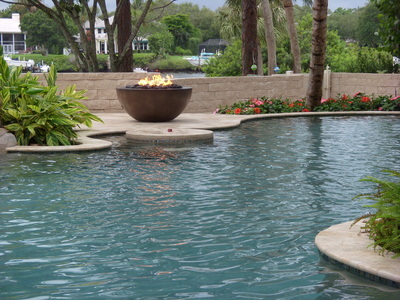 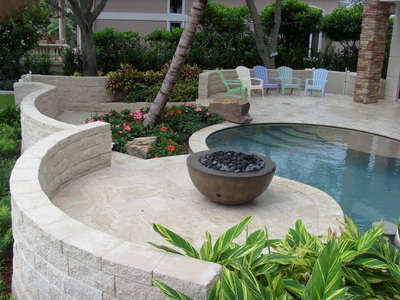 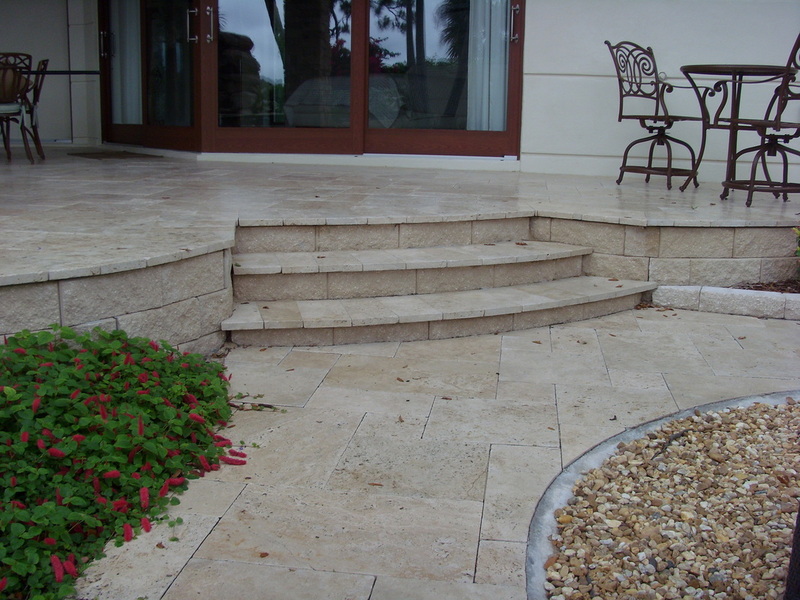 All of the retaining walls are used for structure and privacy, they function as garden seating as well. 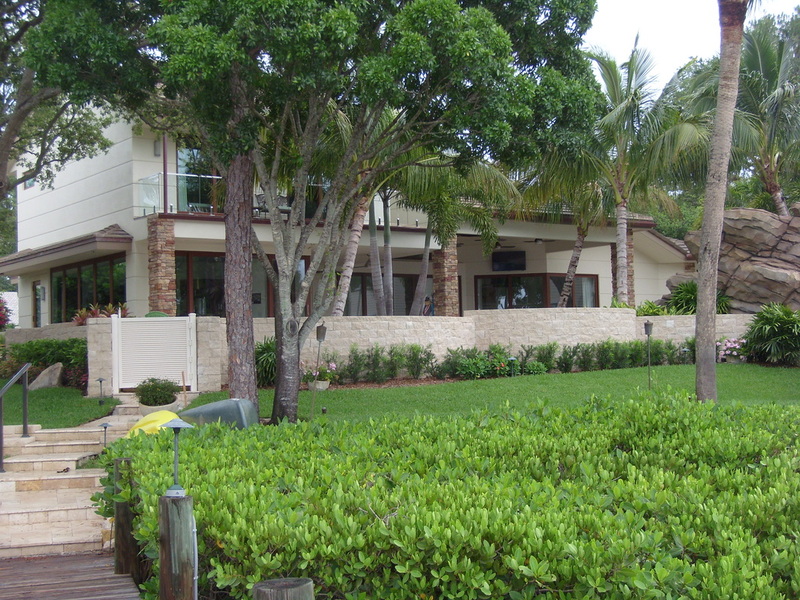 This magnificent home is situated on lovely Loxahatchee River in Tequesta, Florida, and is a perfect place for entertaining friends and family throughout the year. 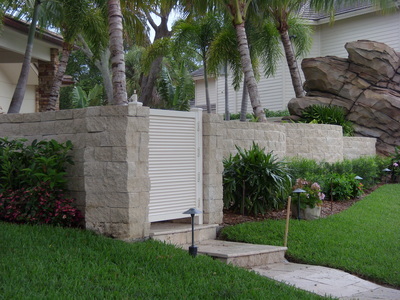 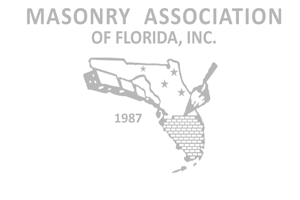 The Versa-Lok system has allowed the home to open up its doors and continue the theme both inside and out. To recap, this Versa-Lok retaining wall has done it all: has maintained its structural capacity for retaining the earth at the base of the pool, has provided security and beauty with its freestanding capabilities, is double-split to show the beauty of the finish on both the inside pool area and outside playground and beach area, and has incorporated steps and columns throughout to maintain a magnificent Architectural design.